How To Install "HotJar" Feedback Widget In Blogger - Hallo sahabat Information About Blogger, Pada Artikel yang anda baca kali ini dengan judul How To Install "HotJar" Feedback Widget In Blogger, kami telah mempersiapkan artikel ini dengan baik untuk anda baca dan ambil informasi didalamnya. mudah-mudahan isi postingan Artikel Blogger Widgets And Gadgets, yang kami tulis ini dapat anda pahami. baiklah, selamat membaca. Most of blogger think why should I add a feedback widget in my blog, it is not of any use, it will slow down my site, I don't need it because i just own a blog not a big website so I don't need to get feedback of my visitors etc. But its absolutely wrong. Feedback widget is very important whether you own just a blog or a big website. Its because it will tell you about your blog's content, design and how users are experiencing your blog and how can you improve your blog's content and design if something is not liked by visitors. Because your blog is for your visitors and they spend their time on your blog and visit your blog, its your responsibility to provide them such a good content and design that they never get any difficult and visit your blog again and again and also share it with others. But as I mentioned people will like your blog only when you improve your content, improve your design, improve user experience. And to improve your blog you need to know what are those things that are affecting your site and the only way to know that is to talk to your visitors because they know better than you about how they want the content to be and how the design should be. So feedback widget is very very important to get feedback from your visitors and improve your site. 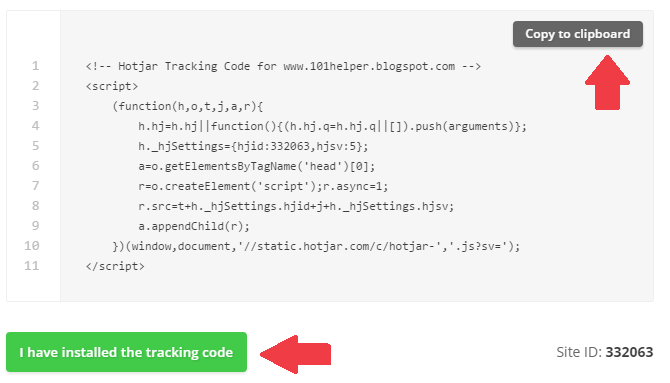 So in this post I am going to show you how to install "HotJar" feedback widgets in blogger. And after installing this widget you will be able to get response from your visitors about your site and if there is something that is affecting your site you can fix it and improve your site. First let me tell you something about Hotjar and after that I will show you how to use HotJar in your blog. Starting with plans and pricing, HotJar allows your to upgrade to a plus or business account which starts from $29 to $89 but it also allow users to use their services for free within some limitations. You can read more about it in the image given below. It is available for free for small blogs and for big websites. Premium services are also available. With Real time analytics get responses from visitors in seconds. Easy to install, easy to use and easy to manage widgets. You can install both Feeback polls and Survey widgets. No render scripts and doesn't affect site loading speed. Can be used for other platform like wordpress, Joomla, Weebly etc. Add more than one website per account. How To Create A HotJar Account ? STEP 1: Go to HotJar and click on Try it for free ! STEP 2: Fill in your Full name and Email address and click on Let's get started. And your password should be of 8 minimum characters. 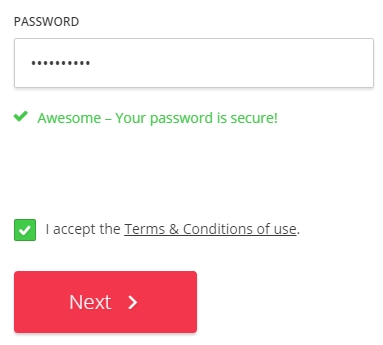 STEP 4: Check the Terms and Conditions box and click on Next. 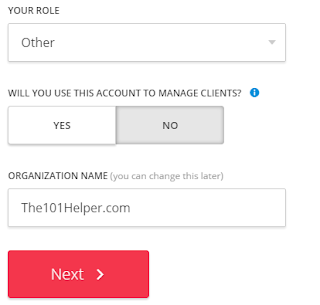 STEP 4: Select your roll as other and choose "NO" where you are asked "WILL YOU USE THIS ACCOUNT TO MANAGE CLIENTS ?" and finally type your blog's name and click on Next. STEP 5: Type your blog or site URL and prove you are Human and Start using HotJar ! This was it. Now you can create your first feedback widget with HotJar. But its time to add the tracking code in your blog's template. So click on Copy To Clipboard and go to blogger > Template > Edit Html and just above <head/> paste the copied code. Final Step! 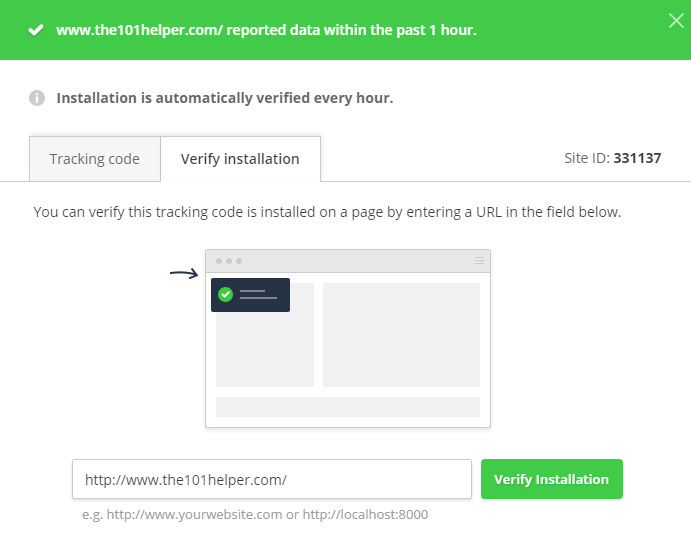 - Click on the green button shown in image image and Verify Installation. 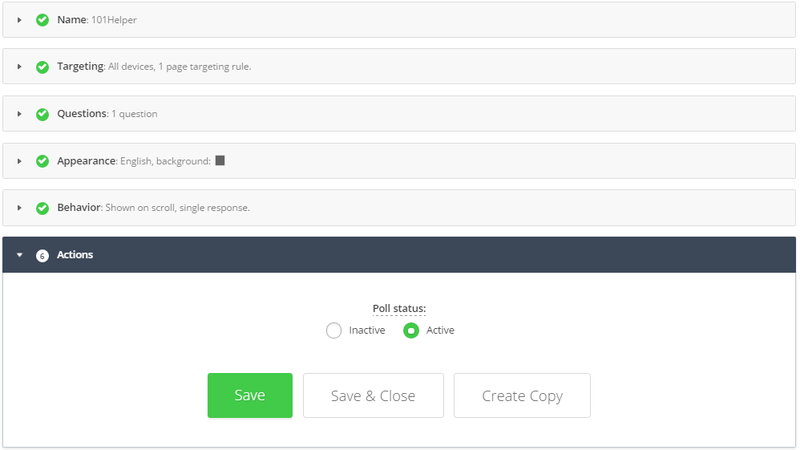 How To Create Feedback Widget With HotJar For Blogger ? Well its quite easy to use HotJar, though it seems difficult but its same as Addthis or Hellobar. Follow below steps to create your first Feedback widget using HotJar. STEP 1: Login to your HotJar account. STEP 2: Click on Polls in the menu on left side. STEP 3: Click on + New Poll button. STEP 4: Type name of your Poll and click on Next. STEP 5: Set Targeting Rules e.g on which devices you want to show your feedback widget and on which devices and pages you want to hide it. STEP 6: Type a question which you want to ask your visitors. As an example I am asking "Was this post Helpful ?". In the next question there are options which are asking for email address of visitors so that you can get back to them about the problem they are facing on your blog. You can delete this question by clicking on the remove icon. You can also add more questions and options. You can see a live preview of your widget on the page. After customizations proceed to next step by clicking on Done button. STEP 7: Later steps are Appearance of your widget, Behavior of your widget and final one is to activate your widget. You can do these steps easily so I am not showing them here. I hope you found this post helpful, if you have any problem related to this post or other posts contact me or ask me in comments. What Else Can You Do With HotJar ? HeatMaps: Its definitely a new thing that you must haven't heard before. Heatmaps are actually a way to record where on your pages do visitors mostly click. So you can place your ads there. Visitor's Screen Recording: Its also a new thing in the world of analytics and Google also do not allow you to record your visitor's screen. But its in a limit, you can record your visitor's only when they are on your blog or website. So you can see what they are doing on your site. You can use these recordings to improve your site as well as you can place your ads in the most clickable areas of your page. You can do alot of things with recordings. Surveys: Its already mentioned above that with HotJar you can get survey from your visitors about anything. You just need to create your widget as you created by following above tutorial. Forms: You can create forms with Hotjar too. Recruiters: You can design and setup responsive forms and let your visitors to sign up in your website as an author or anything else. 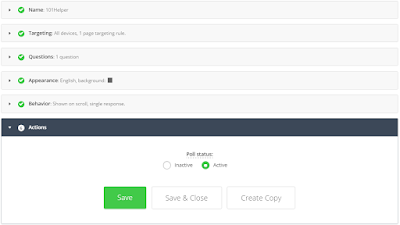 Search Keywords: How to add feedback widget in blogger, how to add survey widget in blogger, how to record visitors screen, how to know where visitors click on your website page, how to track visitors click on page live, how to add hotjar plugin in blogger,101helper. Thank you for visiting the article How To Install "HotJar" Feedback Widget In Blogger hopefully always provide useful information, see you in another article. 0 Response to "How To Install "HotJar" Feedback Widget In Blogger"